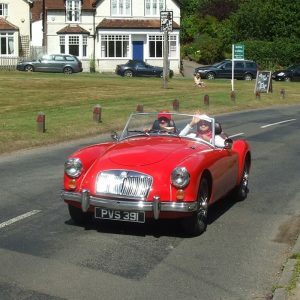 With lunchtime and evening natters, charity events, continental tours, monthly club meetings and the annual Surrey Run, we should have something for just about everyone’s taste. 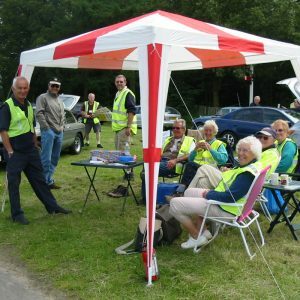 You are welcome to come along and meet some of the like minded members at our many events. 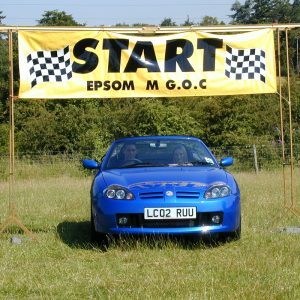 The Epsom Area MG Owners’ Club arranges several displays of members’ MGs through the summer months, for the benefit of local schools and charities. To be able to create a good display of cars at all the events it would be helpful if you could let us know as soon as possible which club stand you would like to attend. Epsom members are very social, there are many events in our calendar to give you the opportunity to meet and get to know other members. A great way of getting to know other members in a smaller group is to attend one of our Natters. You can eat with us if you wish or simply come along for a chin-wag. Details of our forthcoming Social Events and Natters are listed in our diary listing below. Please use the BOOKING FORM to join us for a Natter (at least 2 days in advance) or if you would like more information about a Social Event please CONTACT US. Our annual club fundraising event which proves very popular! The Surrey Run takes you on a planned route covering a distance of approximately 60 miles. Starting at Bocketts Farm in Leatherhead for ‘Bacon Sarnies’ and a quick chat, we head off on a picturesque drive to finish at a scenic venue for a picnic. We receive about 200 entries for this event, so early booking is advised to avoid disappointment. Victor Seymour School Classic Car Show: Contact Bryan Young should you wish to attend. Limited places.